We loved the first two Despicable Me movies, so we are super excited to finally get the chance to watch the cool brand newly released Despicable Me 3, featuring Gru and of course our favourite minion characters. 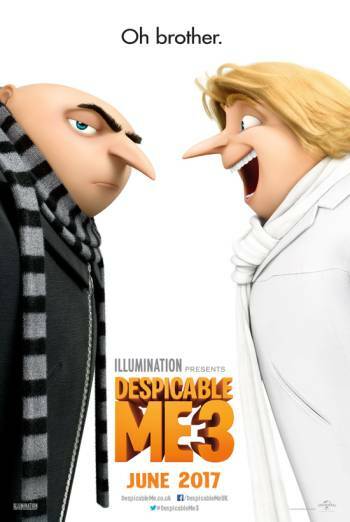 Those cheeky lovable Minions are keen for Gru to return to his villainous ways, and when the new boss of the Anti-Villain League fires him, you would think Gru would retaliate, but he doesn't and decides to take a trip to meet his long lost brother, sibling rivalry is soon put on hold as they both join forces to take down villain Balthazar Bratt, a former 1980s child star who seeks to take revenge against the world. To celebrate the launch of Despicable Me 3 in cinemas, Vue has partnered with self-professed ‘Imagination Explorer’ Dominic Wilcox to think up some super fun inventions that would make trips to the cinema even more fun than they already are. Taking inspiration from the film and its cool gadgets Dominic Wilcox has come up with some cool inventions including the Munch Muffler that quietens noisy eaters, Emergency Hands to cover your eyes during scary moments and a Popcorn Slider - that has actually been brought to life as a prototype. 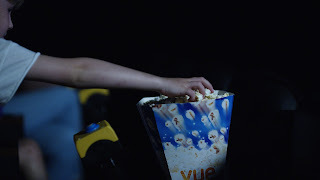 I certainly love the idea of the Popcorn Slider, no more passing and hunting for who has the popcorn whilst watching your favourite movie, it would definitely be loved by the kids too. We are most definitely looking forward to our Despicable Me 3 Vue movie night and will share our thoughts on the movie soon. Despicable Me 3 is in Vue venues nationwide, Check your nearest Vue for timings.